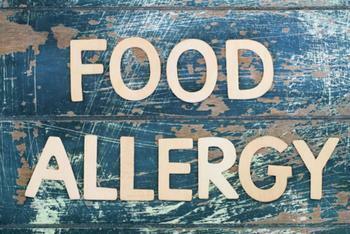 The life of a child with food allergies is a cautious one. Extra measures need to be taken to make sure they aren’t put at risk of a dangerous reaction, but new research shows that the health difficulties with this condition go beyond even that. Researchers at The Children’s Hospital of Philadelphia (CHOP) have found that children with food allergies are also more likely to develop eczema, asthma, and allergic rhinitis. Children with allergies with certain foods are even more likely than others to develop some these conditions. “Of the major food allergens, allergy to peanut, milk and egg significantly predisposed children to asthma and allergic rhinitis,” said Dr. David M. Hill, lead researcher of the study. Although food allergies are very prevalent in young children in the U.S., Hill points out that eczema, asthma, and allergic rhinitis are even more pervasive, and that something needs to be done about them. “Eczema, asthma and allergic rhinitis are among the most common childhood medical conditions in the U.S. Disease rates for these conditions seem to be changing, prompting a need for more information and surveillance,” he said. The researchers found the connection between food allergies and the aforementioned conditions after examining records for over one million urban and suburban children included in the CHOP Care Network between 2001 and 2015. After dividing the records into two cohorts and analyzing them, they found that having a food allergy coincided with much higher incidences of eczema, asthma, and allergic rhinitis. “For patients with an established diagnosis of food allergy, 35 percent went on to develop asthma; and patients with multiple food allergies were at increased risk of developing asthma as compared to those with a single food allergy. Similarly, 35 percent of patients with food allergy went on to develop allergic rhinitis,” said senior author Dr. Jonathan Spergel. The study is importnat because it is the first to examine connections between food allergies and related conditions at this scale. Previously, smaller studies had been conducted that investigated a connection between food allergies and asthma, but they were limited in scope. “Using provider-based diagnosis data provided important information often lacking in existing studies. We found different disease rates than previously reported, and our research provides key data to shape future efforts aimed at prevention, diagnosis and management of these common pediatric conditions,” said Spergel. The full study has been published in BMC Pediatrics.